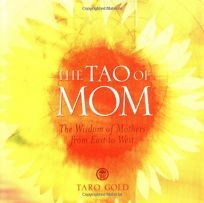 Although Gold's book of quotations is centered on mothers, in so far as the contributions come from moms and""mom figures,"" his volume nonetheless transcends that category to serve as an enlightening collection of knowledgeable sayings for anyone. The author of Open Your Mind, Open Your Life: A Book of Eastern Wisdom and the first American graduate of the Buddhist-based Soka University of Tokyo, Gold presents hundreds of quotations, ranging in length from three words to three sentences. The subjects encompass everything from work to friendship to learning, and there's nothing to distinguish this collection from any other book of quotes--except that these tidbits come from mothers and other women who""helped raise countless individuals through their outstanding examples."" Among the contributors are Indira Gandhi, Eleanor Roosevelt, Mary Wollstonecraft, Gold's mother and his Great-Aunt Iko. Printed on an array of brightly colored patterns, this palm-sized volume makes a lovely gift book.